DAVAO CITY (MindaNews / 30 December) — President Rodrigo Duterte skipped the commemoration of the 122nd death anniversary of the country’s national hero, Dr. Jose Rizal at the Rizal Park here on Sunday, reportedly because he was advised to rest. In his stead, Duterte’s daughter, Mayor Sara Duterte-Carpio, led the wreath-laying ceremony and read the President’s prepared speech. The mayor was joined by Education Secretary Leonor Briones, Armed Forces of the Philippines (AFP) chief of staff Benjamin Madrigal Jr., National Historical Commission of the Philippines Executive Director Ludovico Badoy, and former 1st district Representative of Davao City, now Cabinet secretary Karlo Alexei Nograles. In his message, the President encouraged the Filipino people to learn from the life and legacy of Dr. Rizal and inspire them to emulate his patriotism by showing support for the government’s development agenda and campaign against corruption, criminality, and illegal drugs. “Let’s all do our part in national building and become productive citizens who can contribute to the overall advancement of our nation. True to this year’s theme, I enjoin everyone to focus on developing oneself for the benefit of our countrymen. Let this be the foundation of a truly free and progressive country,” he said. 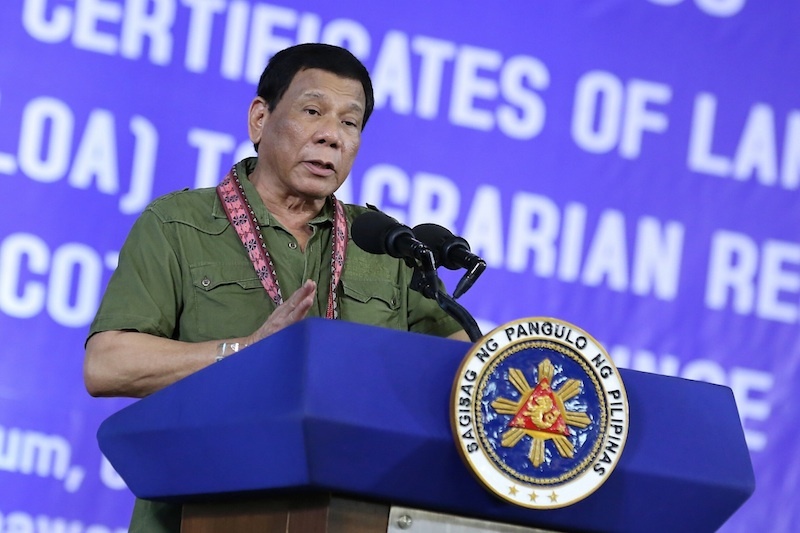 The President also emphasized that intelligence must go with compassion and let their love of country and genuine service for the people to fuel their desire in addressing the plight of their countrymen. “Ii is by having genuine concern for our ‘kababayans’ that we can truly show the goodness of our charterer just like our national hero,” he said. The President also told the people to dedicate their skills and talents to serve the country, as Rizal did before. “We need to free ourselves from the shackles of poverty, criminality, and corruption, and we can only do so if we give primacy to education and hard work, as the means to improve one’s lot in life,” he said.